I live in a country steeped in tradition. One of those many traditions is Flag Day. Though you may not recall the time of year as easily as Presidents Day or Memorial Day, I assure you there are countless towns across the country that claim to have been celebrating Old Glory long before an Act of Congress made a national day official in 1949. After all, the best cultures are those that adopt practices that give our organizations a sense of identity and a shared understanding to which everyone contributes in their own way. And what is more communal than breaking bread with one another or pausing to honor what’s important to the collective group? Celebrating tradition in the workplace is an effective culture-builder because it cultivates all those feelings associated with building a legacy. People love tradition. Creating tradition in the office is often an easy way to multiply connections between your people without breaking the bottom line or carrying out long-winded initiatives. Consider celebrating a milestone that’s important to your organization. Enlist employees from different departments to determine what might be a fun and appropriate way to enjoy the occasion. Hold it during office hours so you don’t pull people away from family time. Plus, you’ll get better attendance and create opportunities to establish new alliances that may not have otherwise formed because people tend to gravitate toward their departments. Just like towns all over the country enjoy boasting they have the best Flag Day celebration, finding a tradition of your own to honor a special occasion helps your team find their identity. Some organizations get excited about potlucks, while others like to recruit team members to compete in fitness events or community service. At Prologis, we liked to hold an outdoor lunch where leadership staff barbequed and served the employees. The employees always got a kick out of seeing me and my team in chef hats. Further engaging your employees by scheduling special guest speakers to visit the company or by creating a regular meeting to recognize employees gives everyone a sense of positive energy when innovative ideas or accolades are shared. Some of my most poignant memories at Prologis were at our quarterly town hall meetings when we had the chance to recognize offices and employees all over the world—not only for their performance, but also for their commitment to the community. Workplace traditions are an exceptional boost because they remind people of their own personal family traditions. Mary Kaylor with Society for Human Resources Management says, “Your workplace is like an employee’s home away from home.” If your employees enjoy national holidays, chances are they will welcome a break from routine when you broach the topic of celebrating values that are important to you as a group. 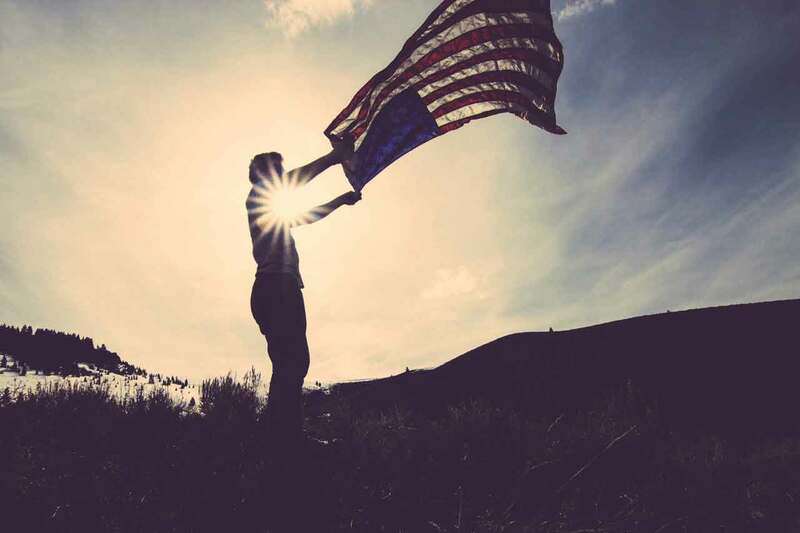 So, I’ll end this post with my beginning: What does Flag Day teach us about workplace culture? People love tradition. Creating tradition in the office is often an easy way to multiply connections between your people without breaking the bottom line or carrying out long-winded initiatives. Plus, you’ll like what it does for your morale, retention and recruitment. Like what you read about Flag Day? Never miss a post about leadership, transparency, and trust by signing up for my weekly mailing list, delivered right to your inbox. Sign up here.